You can find Garry's Mod server hosting fairly cheap now. The game uses very little server resources thanks to it being so well optimised. Many of the larger well respected game hosting providers offer GMod. You will also find the newer, smaller companies offering it too thanks to its ease to set up. Be sure to pick a reputable hosting company featured on this site for peace of mind. A game that seems as old as time, Garry’s Mod is one of the original sandbox classics. It does seem as though GMod set the trend for games that allow you to make the rules. Before GMod games typically followed a fixed path, killing as you go along. With the tools available to you that were developed for the Half Life 2 Source engine you can go wild. Going wild is exactly what Garry’s Mod does well. During online play you will see some odd things going on with other players. The game allows you to control facial movements as well as the objects around you. 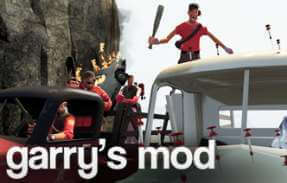 Many videos have been created using the Garry’s Mod game as a filming platform. Like the Mac vs. PC spoof video seen here, video producers are able to take advantage of the sheer customise-ability and control available in this epic game. GMod still possess the large audience with many players returning after getting bored or newer games. According to SteamCharts the game rarely falls out of the top 15 played games at any one time. Thanks to the modding community, the game continues to evolve. Game developers have awoken to the fact that modders can keep a game current for many years to come. The continued sales are much to the joy of these developers coffers. Most game hosting companies offer a Garry’s Mod package or have done at some point. The game is easy to host as it usually comes pre-installed in the control panel TCAdmin. Using TCAdmin a game hosting company can easily start selling the hosting for games. 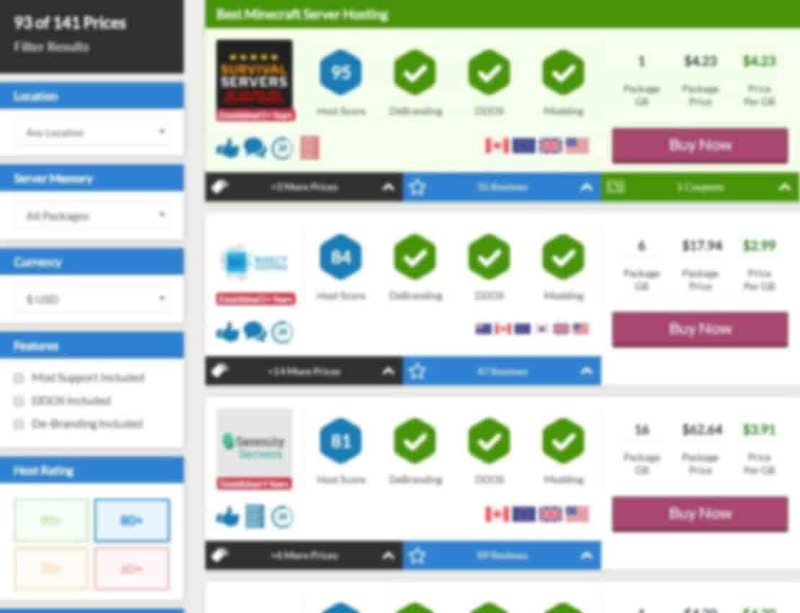 The hosting companies we compare prices for have experience good reputations. We don’t allow new companies that haven’t proved themselves yet. It’s these checks that mean you are sure to get a decent level of service. We actively encourage people to come back and let us know how they got on with the company they chose. The two main kind of buyers to visit this page are the kind looking for the cheapest and those looking for the best. We make sure that you can quickly find what you need in the above price list. If your aim is a bit different, you should still have the tools you need. According to our price list, the cheapest Garry’s Mod server hosting is provided by Host Havoc. With what started out as a one man run game hosting company has blossomed into a behemoth. Host Havoc now employ an army of technicians and experts who work tirelessly to improve their service. We usually only receive positive reviews about the company. 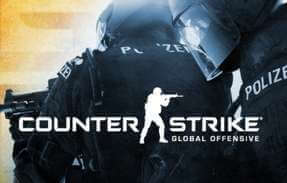 The company has excelled in offering the cheapest packages for games on CompareGameHosting. They have achieved this awesome feat by reducing costs their end. Through automation and knowing their hardware inside and out they have slashed prices year on year. The company that holds the title for this accomplishment is also the cheapest. 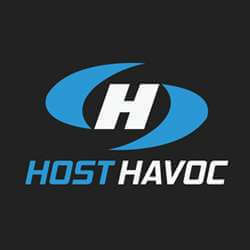 Host Havoc have proved to us through countless positive reviews from customers that they are king. The features they offer and the experience of the support staff have convinced us that they deserve the “best Garry’s Mod server hosting” position on our site. In the world of Garry’s Mod altering the game further is important. Armies of coders and visionaries have worked hard to bring new features to the game. These private developers who don’t work for the company that sell the game do it for the glory. Having support for mods on your Garry’s Mod server hosting is very important. This is even more apparent for people who currently use mods or are planning on. Many hosting companies with custom control panels or ones that use TCAdmin will have mod support. Be sure to check on the page explaining the companies features when you go through to order. One of the reasons you get a server is for stability. The problem is that no machine worldwide is 100% stable. Having automated backups and an easy way to restore them is very important. Be sure to check that the hosting company you choose have auto backups. We check most companies to be sure they do but sometimes they may cut them to reduce costs. Garry’s Mod was initially the work of one man, Garry Newman. He took the Half Life 2 game and created a mod for it and thus Garry’s Mod was born. Newman then went on to incorporate Facepunch Studios in 2009 with which he then created the hit survival game Rust. 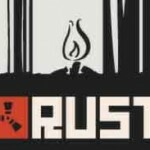 Its said that Facepunch started working on the game Rust out of frustration of DayZ. The gaming community has been angry at the developers of DayZ due to the colossal time that it has taken for it to be finished. It wouldn’t be so bad but they have already sold millions of copies while apparently abandoning the project. It looks as though getting GMod onto the major game consoles is just a pipe dream. People are campaigning for it if this petition is anything to go by. The consoles are great places for casual games to be ported to. Garry’s Mod could be seen as a kind of 3D version of the popular Little Big Planet. In Little Big Planet players can route through a single player world or build worlds themselves. As GMod is now over 10 years old the chances of it happening are diminishing. 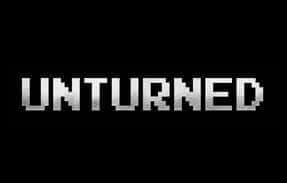 With Facepunch Studios focusing most of their time on Rust and maybe even porting that title to console, it seems unlikely. Once the right kind of player gets hold of a copy of GMod they usually then stick to it. 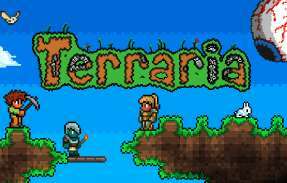 The game has a lot of replayability and it shows in the reviews. 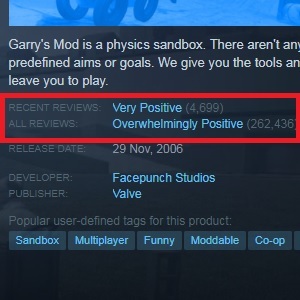 The tide of the feedback sentiment has changed in recent years according to Steam. 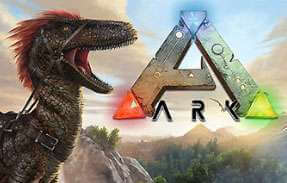 With the game only scoring Very Positive compared to it scoring Overwhelmingly Positive reviews. This should be expected though really as the game matures and people move onto other titles. The developers interests are now in the next generation of gaming with Rust for example. One reason that the sentiment may have dropped may be that die hard fans are annoyed at the lack of any really evolution in the game. Garry’s Mod has stayed the same game for many years. This could be seen as a good thing from fans as well as bad.If something isn’t broke, why fix it? According to SteamCharts, the game usually sits comfortably in the top 15 and sometimes climbs into top 10. The game used to see periods of 75,000 players at one in its heyday, around 2015. Garry’s Mod is in the Steam library of almost 15 million people worldwide. Although according to SteamSpy around a million of those people have never actually played the game. Minecraft seemed to take what was great about GMod and really run with it. 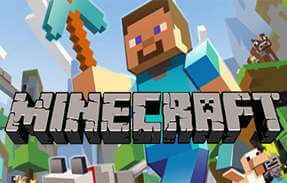 In Minecraft you have access to blocks and a randomly generated world. The landscape that you play in is probably the biggest difference between the two. 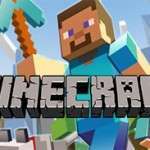 Most players of Minecraft don’t play single player on their own machine. Much like Garry’s Mod, people want to join a private server with other people. Its this community effect that can really take the game onto the next level. Randomness of people will always add a sense of personality to a game, definitely obvious in Garry’s Mod. 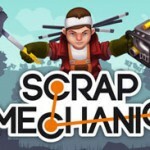 If you are a big fan of the mechanical side of creations then try Scrap Mechanic. The game lacks any survival mode right now, much to the annoyance of its player base. If you are after a way to let out your inner engineer then Scrap Mechanic is a great game. Using simple parts with active elements like engines you can create all sorts of vehicles. The game also has a multiplayer element, although only in the way of co-op building. 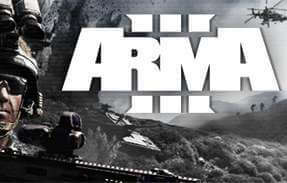 The game does not have private servers yet though but are planned. 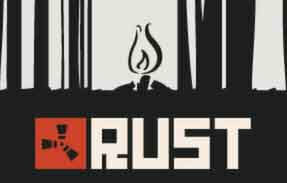 From the same development company, Rust is another crafting game with building in it. The game is much more geared to be a survival sandbox title though with challenges such as wolves thrown at you. The game seems to be the next natural progression from Garry’s Mod. It is as if Facepunch Studios looked at what was taking off next and went with it. If you love Garry’s Mod then their is a good chance you will want to add Rust to your gaming library. Server list websites are a great way to expand your potential reach of interested GMod players. Players that could join your Garry’s Mod server. Our sister project BestServers keeps tabs on thousands of machines worldwide with Garry’s Mod making up a sizeable portion of them. You can find our Garry’s Mod server list here. Be sure to sign up and submit your own server when you have found one that suits you using the price list on this page. The guys at Facepunch studios have released an update for Garry’s Mod that fixes issues that have arisen from changes made to Team Fortress 2. They have also made a note that if your anti virus software is flagging up that Garry’s Mod is a virus then to report it to your anti-virus provider as a false positive. A simple but popular mod for Garry’s Mod is the Keep On Truckin’ set of files that bring with it a bunch of skins for the player to show off your love of truckers. This mod requires Team Fortress 2. A vital mod available on the Steam Workshop for Garry’s Mod is Extinguishing Water which adds the mechanics needed to extinguish fires. If you or something you have built catches fire and you feel the need to it out then you can use water to douse those flames.